Why are some people and organisations more inventive, pioneering and successful than others? And why are they able to repeat their success again and again? In business, it doesn't matter what you do, it matters why you do it. 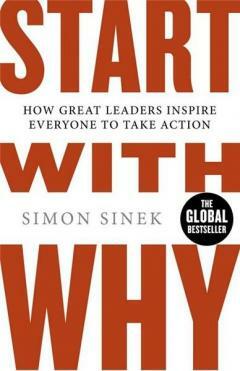 "Start with Why" analyses leaders like Martin Luther King Jr and Steve Jobs and discovers that they all think in the same way - they all started with why. Simon Sinek explains the framework needed for businesses to move past knowing what they do to how they do it, and then to ask the more important question - Why? Why do we do what we do? Why do we exist? Learning to ask these questions can unlock the secret to inspirational business. Sinek explains what it truly takes to lead and inspire and how anyone can learn how to do it.